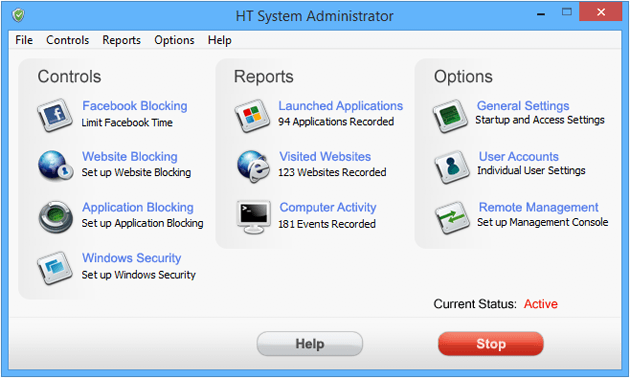 HT System Administrator is the most reliable and easiest way to block or limit any unwanted or time-wasting computer activities. The software allows blocking websites and program with no special knowledge. Make a couple of clicks to reliably block any activity. It is designed as for individual users as for employers, schools and universities. HT System Administrator can block or limit any websites, websites categories, https sites, programs, games, chats, etc. The program contains a powerful Internet filter to block all inappropriate content. The program keeps statistics and shows you detailed reports. HT System Administrator is highly protected and cannot be stopped or uninstalled even by computer-savvy users. The filter cannot be bypassed even by proxy servers or anonymizers. HT Vector grants you a royalty-free license to copy and distribute the Trial version of the Software in its unmodified form electronically or on physical media means, provided that you comply with all other relevant provisions in this Agreement. No fee, compensation or consideration may be charged for such distribution, and a verbatim copy of this Agreement must be provided therewith.